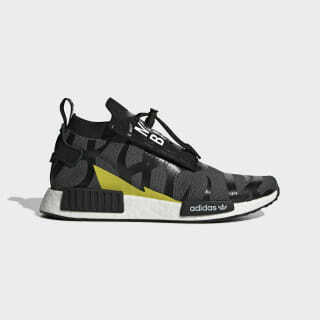 NMD Stealth shoes created with NEIGHBORHOOD and A BATHING APE®. 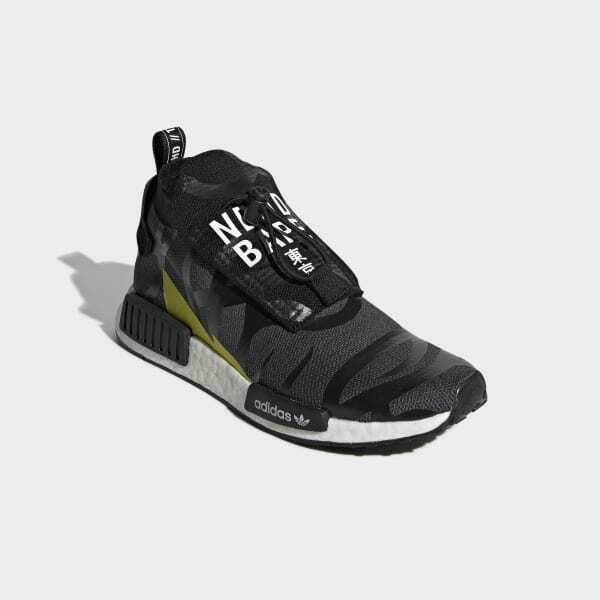 BAPE® and Japanese brand NEIGHBORHOOD give NMD style a fierce look that's influenced by hip hop culture and military gear. BAPE®'s signature "ABC" camouflage adds an intense edge, while the shoe's signature anti-shock plugs in the midsole and Boost cushioning provide an extra-smooth stride.